Two new scarves that I recently knitted as birthday presents for friends. 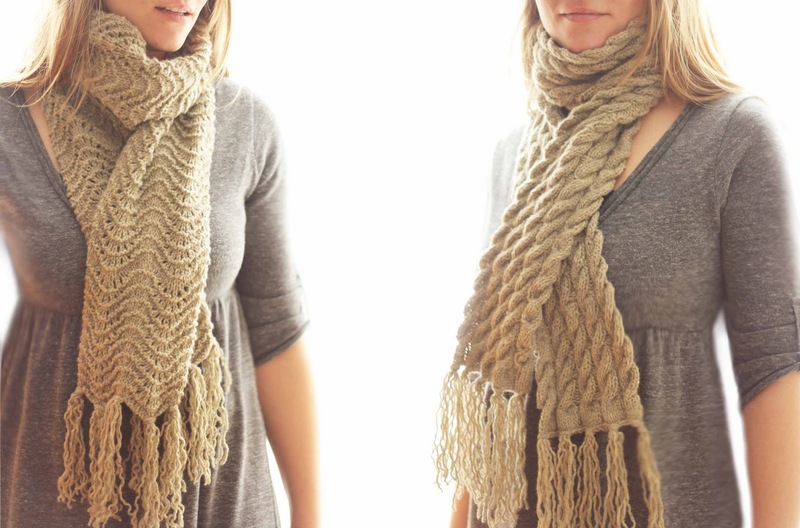 The one on the left is a pattern called Old Shale - such a fun and easy pattern to knit! It's easy to memorize and I love the wavy lines it creates. The one on the right is a simple twisted cable pattern that I just kind of figured out as I went along. These are beautiful! What yarn did you use? It's wool - I actually recycled the yarn from an old thrifted sweater. Row 9: sl 3sts onto CN, hold at back, K3, then K3 from CN, P2, repeat for entire row.